Systems thinking in permaculture https://smarterthancrows.wordpress.com/2019/04/12/systems-thinking-in-permaculture/ — Read on smarterthancrows.wordpress.com/2019/04/12/systems-thinking-in-permaculture/ A tool for life. T is for Tomatillo https://muchmoremulch.blog/2019/04/15/t-is-for-tomatillo/ — Read on muchmoremulch.blog/2019/04/15/t-is-for-tomatillo/ A different crop worth a look. 20 Flowers You Can Eat http://organicsloveandco.com/2019/04/16/20-flowers-you-can-eat/ — Read on organicsloveandco.com/2019/04/16/20-flowers-you-can-eat/ A thing due for a comeback. Carbon + Nitrogen http://exploringpermaculture.home.blog/2019/04/16/carbon-nitrogen/ — Read on exploringpermaculture.home.blog/2019/04/16/carbon-nitrogen/ Simply put powerful words. We make soil! 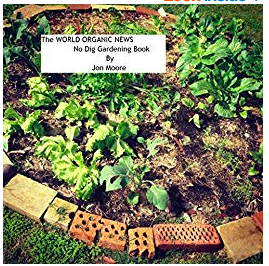 Support the building of composting toilets http://organicsloveandco.com/2019/04/19/we-make-soil-support-the-building-of-composting-toilets/ — Read on organicsloveandco.com/2019/04/19/we-make-soil-support-the-building-of-composting-toilets/ Waste not! Permacrafters : Zero Waste School https://kellyanncarpenter.com/2019/04/20/permacrafters-zero-waste-school/ — Read on kellyanncarpenter.com/2019/04/20/permacrafters-zero-waste-school/ Start 'em young!